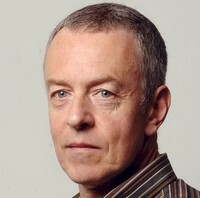 Brian Whitaker was a journalist for the The Guardian since 1987 and its Middle East editor from 2000-2007. He is currently an editor on the paper's "Comment is free". He also writes articles for Guardian Unlimited, the internet edition of the paper. He runs a personal, non-Guardian-related website, Al-Bab.com, about society and politics in the Arab world. Brian Whitaker isn't a Goodreads Author (yet), but they do have a blog, so here are some recent posts imported from their feed.